Judge Reluctantly Approves Government Plan For Morning-After Pill : Shots - Health News Women and teenagers should soon be able to buy emergency contraception with no age restrictions, according to a federal district judge's memorandum. But the Obama administration's plan will put just one brand-name formulation of the "morning after" pill on store shelves. This brand may have a near-monopoly in emergency contraception. But in a testily worded six-page memorandum, the federal district judge made it clear he is not particularly pleased with the outcome. He has been overseeing the case in one way or another for more than eight years. 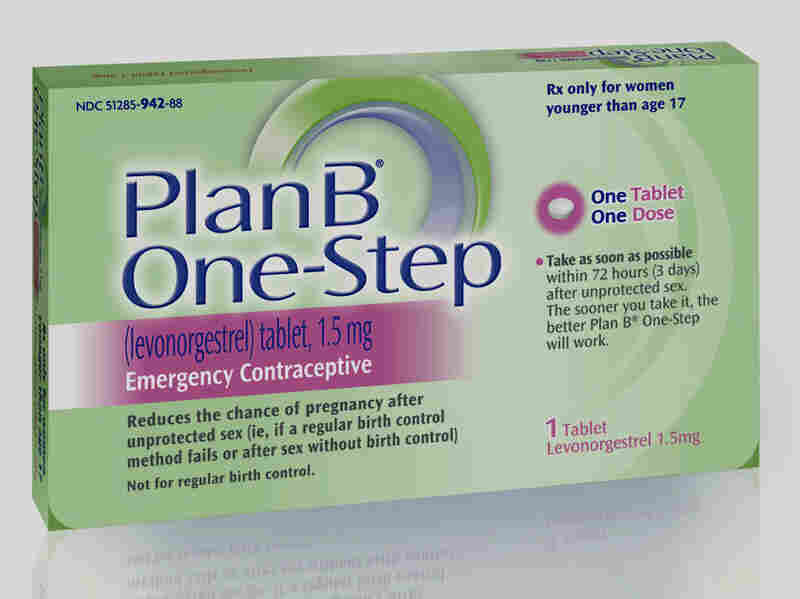 The deal, Korman wrote in his Wednesday night memorandum, makes it likely that the version called Plan B One-Step will for now be the only product available on retail shelves. That's even though it is the most expensive, at a cost of between $40 and $50. The deal proposed by the administration, he wrote, "confers a near-monopoly that will only result in making a one-pill emergency contraceptive more expensive and less accessible to many poor women." Late Monday, the administration said it would drop its appeal of Korman's April ruling that would have made all products using the hormone levonorgestrel available within 30 days without age or prescription restrictions. On April 30, just days before the judge's deadline, the FDA proposed what appeared to be a compromise. It approved a new label for Plan B One-Step that would make it available on pharmacy shelves, rather than behind the counter. But it would still require a prescription for those younger than 15. And the agency appealed Korman's ruling. But when the Justice Department asked Korman for a stay of his ruling while it appealed, he said not only said no but excoriated the government for behavior he called "something out of an alternate reality." It was a surprise last week when a panel of the federal 2nd Circuit Court of Appeals also denied a stay of Korman's ruling, at least in part. The appeals court would have required that generic two-pill versions of the emergency contraceptive pills be made immediately available. In his memo, Korman urged the FDA not to grant additional "exclusivity" to Teva Pharmaceuticals, the patent owner of Plan B One-Step, even though the company conducted a study that under drug law should make it eligible for protection from generic competition. "Whatever expense Teva incurred, it did not mount a legal challenge to the FDA's denial" of its original request to allow the drug to be sold without age restrictions in 2011, Korman wrote. "Instead, it entered into an agreement with the FDA which allowed it to market Plan B One-Step to women 15 and over, thus leaving in place burdensome point-of-sale and photo identification requirements."